Dr. Scott Lowe will be the New Guest Researcher with a stay at the CNIO, within the Fundación Jesús Serra Visiting Researchers programme. The purpose of the programme is to encourage interaction in the field of research with the aim of contributing to the advancement of science. Doctor Scott Lowe is the Director of the Cancer Genetics & Biology Program in the prestigious Memorial Sloan Kettering Cancer Center (MSKCC) and the Director of the Geoffrey Beene Caer Research Center located in New York, USA. Dr. Lowe is a worldwide renowned scientist in cancer research, specifically in the field of senescence and tumour suppressors and in the identification of new therapeutic targets. Dr. Lowe and his laboratory have an extensive experience in the development of cutting-edge biomedicine techniques, including ARM interference, cancer genomics and mouse models. In recent few years, Dr. Lowe has significantly contributed to the advancement of knowledge within the field of cancer research, with more than 250 articles, many of which have been published in the best scientific journals. A few recent examples include an article showing how the transplant of organoids enable a fast regeneration in mice of metastatic colorectal cancer (Nat Biotechnol. 2017 Jun; 35 (6): 577), a method to block resistant tumours with specific mutations (Nat. Med., 23(8), pp. 929), and a therapeutic strategy in which a combination of drugs is used to treat a type of lung cancer (Nature. 2016 Jun 30;534(7609):647). Dr Scott Lowe is a worldwide leader with extensive experience in renowned excellence centres, such as the Massachusetts Institute of Technology (MIT), Cold Spring Harbor Laboratories (CSHL) and the MSKCC. Dr. Lowe has received several awards, among them are the Paul Marks Prize for Cancer Research, and he is a member of the American Association for the Advancement of Science, a member of the National Academy of Sciences and a former member of the Management Board of the American Association for Cancer Research (AACR). 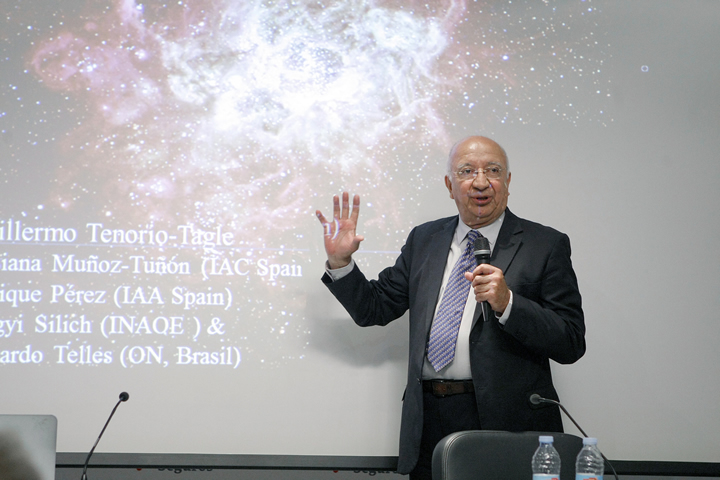 The international prestige of Spanish science, together with the quality of its studies and initiatives, and the results obtained therefrom continue attracting the attention of important researchers, who visit us from a variety of places around the world. Convinced of the importance of encouraging interaction in the field of research with the purpose of contributing to the advancement of science, our Foundation collaborates with several scientific bodies, to which many renowned doctors attend within the framework of our Visiting Researchers programme. 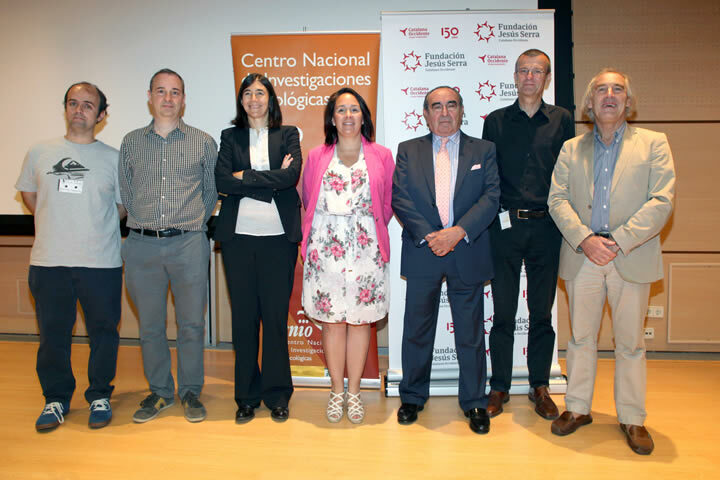 This initiative awards grants to internationally renowned scientists so that they can move to Spanish research centres and stay for several months while, on the one hand, deepening the scientific relationship between the hosting research group and the researcher's own centre and, on the other hand, starting new lines of action emerging from new scientific interests. As a result of this programme, there are more and more institutions with which we collaborate with the purpose of encouraging the exchange of knowledge and progress. 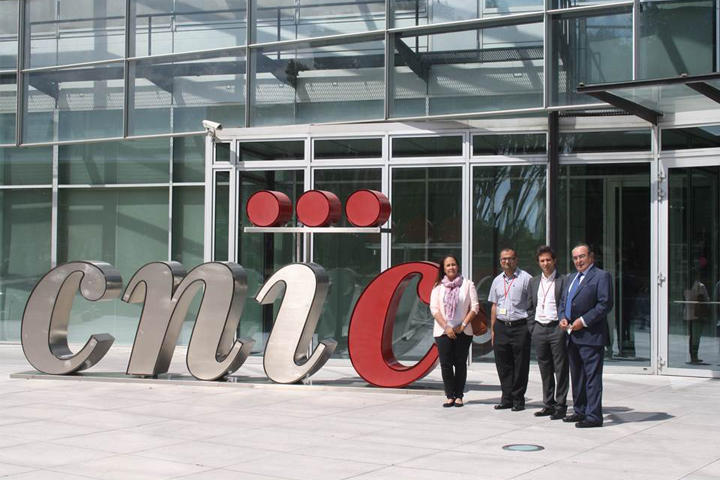 In 2009, we started a solid relationship with the Centro Nacional de Investigaciones Oncológicas (National Cancer Research Centre, CNIO), which is, both nationally and internationally, a public institution of reference in research, diagnosis and cancer treatment; in 2013, with the Centro Nacional de Investigaciones Cardiovasculares (National Centre for Cardiovascular Research, CNIC) in order to encourage the advancement of studies in the field of cardiology and its transfer to treating patients; and most recently, in 2014, we began collaborating with the Instituto de Astrofísica de Canarias (Canary Islands Astrophysics Institute, IAC), which is a research centre international in scope with observatories in Tenerife and Gran Canaria. Have received your application correctly. The right of privacy, particularly the right of personal data protection, is one of the fundamental principles of Fundación Jesús Serra and Grupo Catalana Occidente. 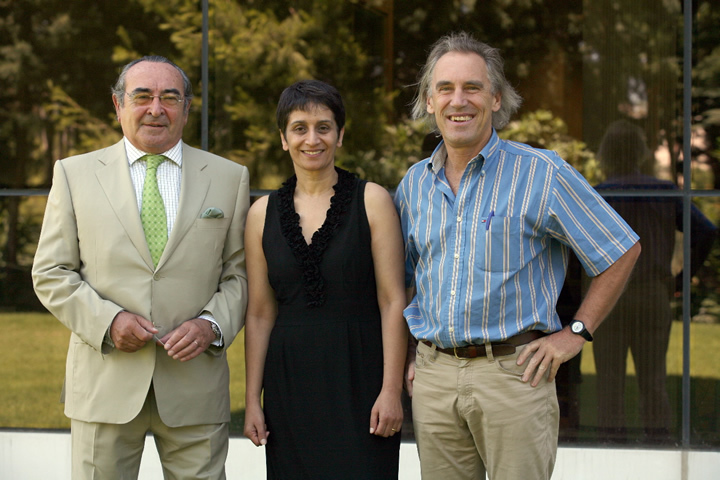 Fundación Jesús Serra was born in 2006 for the purpose of channelling the institution's philanthropic initiatives and fostering the human and professional values that characterised the founder of Grupo Catalana Occidente, Jesús Serra Santamans, from whom the foundation receives its name. It currently launches projects related to research, teaching, solidarity, sport, music and poetry. This way, we try to contribute to building a fairer, more caring and more developed society in which values such as having initiative, effort, and ongoing improvement predominate. Fundación Jesús Serra acts as a link between the different companies that integrate Grupo Catalana Occidente. Therefore, one of our objectives is to construct a common culture, encouraging the employees and mediators comprising the Group to get together and participate in the different programmes and events. The supervisory authority is the Spanish Data Protection Agency, with headquarters in Madrid (28001), Calle Jorge Juan, nº 6, to whom you may submit queries and/or complaints regarding this matter, should you consider that your data protection rights and freedom have not been duly taken care of by Fundación Jesús Serra. For more information, go to the following website: https://www.agpd.es. Any personal data collected directly or through our websites or online forms used to register in our activities, including the documents containing them. The data collected will be those exclusively required to carry out the activities and projects that take place during a specific period and that are organised by Fundación Jesús Serra. If the personal data is provided by a person other than the holder, it shall be the provider's obligation to previously communicate this information to the holder of the personal data, as well as to obtain his consent, when required, so Fundación Jesús Serra can process this data. How are the personal data of minors processed? The personal data of minors shall only be processed when the parents or legal guardians have provided their consent or authorisation for the processing required solely and exclusively to execute the corresponding activity or project in which the participant has registered. The main purpose of processing personal data, prior voluntary registration, is to manage the participation in the activities and projects promoted by Fundación Jesús Serra, as well as to disseminate and inform about the details of these activities and projects in which the participant has registered voluntarily, and to comply with the obligations established in the regulations applicable to the data controlling entity Fundación Jesús Serra at any given time. Similarly, with respect to the information collected through contact forms and/or telephone numbers provided to you to contact Fundación Jesús Serra and/or external agencies that collaborate in organising activities, we will process your data to: (i) attend to and manage applications, enquiries and requests made through the telephone numbers and addresses facilitated for this purpose; (ii) attend to and manage suggestions, complaints and other queries made using the corresponding form. What is the legitimation of the processing of personal data? The legitimation of the aforementioned processing for the main purpose established above is based on the carrying out of activities and projects organised by Fundación Jesús Serra, which is the controlling data entity. Any processing for the other purposes mentioned above has legal grounds in the applicable regulation or the legitimate interest of Fundación Jesús Serra. The personal data will be held during the time it takes to organise the activity or project in which the participant has registered or while there is no express opposition by the participant, and they shall be made available to the Courts, Public Prosecutor, State Security Forces and/or competent Public Administrations, particularly the competent personal data supervisory authorities and the corresponding supervisory bodies, for the attention of the potential legal or contractual responsibilities arising from the contract or service in which the processing was based and during the limitation period of thereof. The participant's personal data and any information arising thereof or linked to their participation in activities or projects organised by Fundación Jesús Serra may be communicated to the agencies contracted by it to organise, manage, execute and carry out its activities and projects. services to manage sports projects and activities and the registered participants, manage websites and registration forms, and manage payments. services to disseminate activities and projects through press releases. services to manage social networks and images. services to manage databases, diffuse calls in specialised centres, manage institutional relations, and manage events and contracts. Personal data will be given to all those recipients for whom such information must be disclosed in compliance with legal obligations, including, but not limited to, competent public bodies and administrations, such as the Spanish Tax Administration Agency or regional tax authorities, personal data protection control authorities, courts and tribunals, the corresponding supervisory bodies, the Public Prosecutor's Office and/or State security forces and bodies. (i) Right of access.- You have the right to request information about the personal data held by Fundación Jesús Serra about you and about their processing, as well as obtain a copy thereof in a structured, common use and easy-reading format. (ii) Right of rectification.- You have the right to request the rectification of inaccurate personal data and also ask to complete any personal data that is incomplete, even via an additional declaration. (iii) Right of deletion.- You have the right to request the removal of your personal data when it is no longer needed for the purposes for which it was collected by the data controlling entity Fundación Jesús Serra, or when you withdraw the consent on which the processing is based. Such a request shall not be applicable when processing is required on the grounds of what is stipulated in the paragraph "legitimation of the processing of personal data". If you exercise your Right to be forgotten within the digital scope of Fundación Jesús Serra, the corresponding Entity shall contact the internet service provider to transmit the data subject's request relating to the cessation of your personal data processing, taking into account the available technology and the cost of its application. In this case they shall only be held by Controller to draw up, exercise or defend claims. The request shall not be applicable when the processing is required on the basis of the provisions included in the section “legitimation of the processing of your personal data”, whether the processing is required to exercise the right of freedom of expression and information or on grounds of public interest. (iv) Right of opposition.- You have the right to oppose the processing of your personal data, except if there are grounds for a legitimate interest of Fundación Jesús Serra to continue processing the personal data, in which case it will only be held by the Controller to draw up, exercise or defend claims. The processing of personal data for commercial or advertising purposes shall not be considered legitimate and therefore the right to object shall be deemed equivalent to the withdrawal of given prior consent. Such a request shall not be applicable when processing is required on the grounds of what is stipulated in the paragraph "legitimation of the processing of personal data". (v) Right of restriction of the processing.- You have the right to request that your data be restricted from processing, which will involve blocking your data, in the following cases: (i) when you contest the accuracy of the data, (ii) when the Controller opposes the deletion of data due to the processing being legal, (iii) when the Controller no longer needs the data but they are required to draw up, exercise or defend claims or (iv) when you have opposed the processing while the Controller verifies if its legitimate reasons prevail over yours, in this case they shall only be held by Controller to draw up, exercise or defend claims. (vi) Right of portability.- When technically possible, you have the right for your personal data object of automated processing to be transferred to another Controller or yourself as a data subject in a structured, common use and easy-reading format without prejudice to your rights of deletion or to be forgotten, in which case they shall only be held by the Controller to draw up, exercise of defend claims. Any communications and actions performed in the context of exercising your rights shall be free of charge. When the requests are manifestly unfounded or excessive, especially when they are of a repetitive nature, the data controlling entity Fundación Jesús Serra may charge a fee according to the expenses borne to fulfil the request. From the first moment it initiates the data processing, the data controlling entity Fundación Jesús Serra shall implement the technical, organisational and security measures necessary, considering the state of technology, to guarantee the confidentiality, integrity, availability and resilience of the personal data, as well as to prevent its unauthorised access, alteration, loss or processing. We inform you that the computer servers of some Fundación Jesús Serra service providers may be located in countries outside the European Union, where, if the level of privacy protection were not equivalent to the European or national personal data protection regulations, the data controlling entity Fundación Jesús Serra shall adopt the necessary and appropriate measures to safeguard the data subject's rights and the information's security, according to the available technical means at any given time. Fundación Jesús Serra reserves the right to apply, at any given time and without prior notice, as many modifications, variations, deletions or cancellations in the content and in the way it is presented as deemed appropriate.